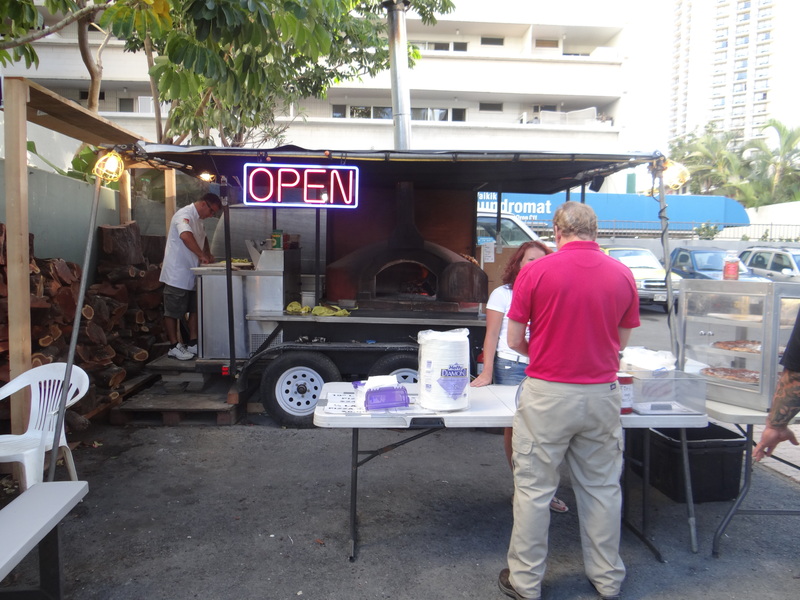 Summary : This "pop up" pizza shop in Waikiki is overpriced and uninspiring. But it's still probably the best late night slice in town. Some minor tweaks and it could be something special. There is a lot of delicious food in Hawaii. 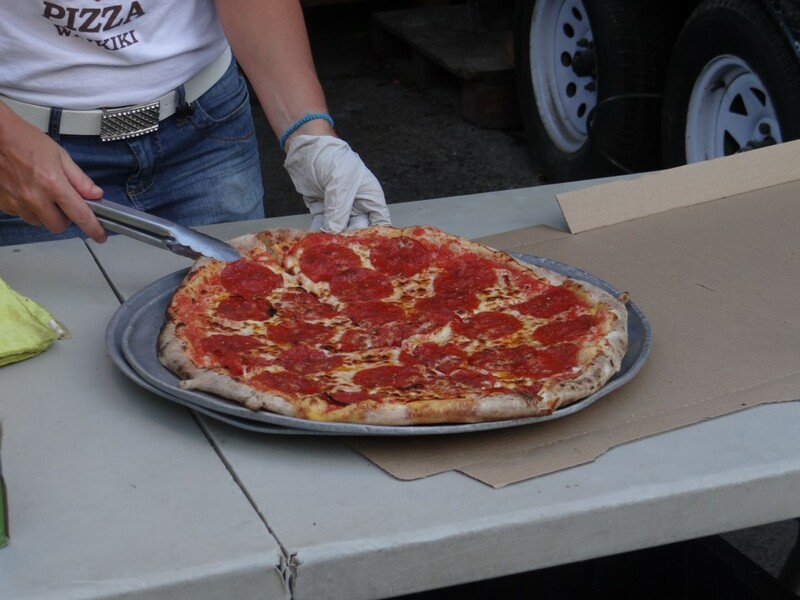 But when it comes to pizza, it was pure disapointment during my first trip to the 50th state. Okay, I didn’t try all the pizza in Hawaii, but for a state which has a well known style named after it (you’re familiar with Hawaiian pizza, aren’t you?) + such great produce and conditions for food production, I was sad with what I found. I spent four nights in Oahu followed by three nights in Maui, although I limited my pizza intake to the former. I did research before I left and there didn’t seem to be any consensus on the best pizza in Hawaii. In fact, the photos that accompanied some of the more positive reviews indicated that those reviews might be a bit too optimistic. 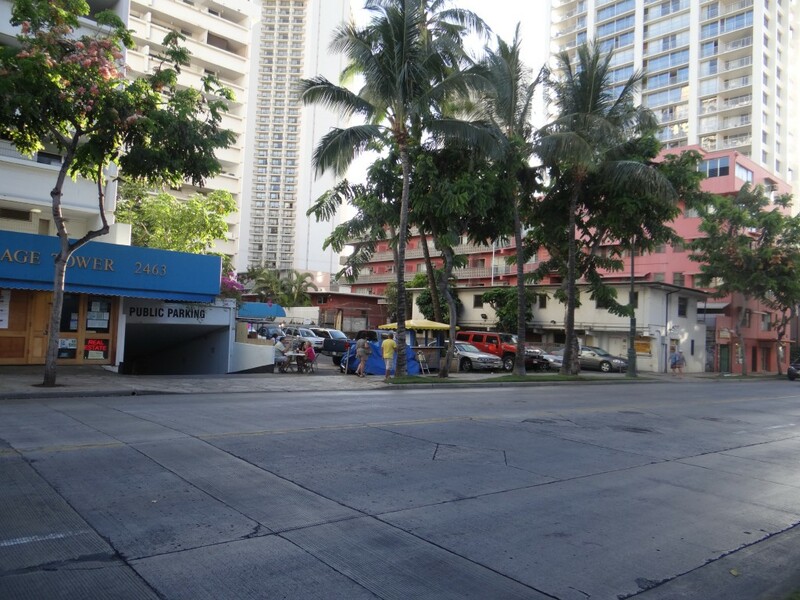 Two of the nights we spent in Oahu, were in Waikiki, the main commercial strip on the island. 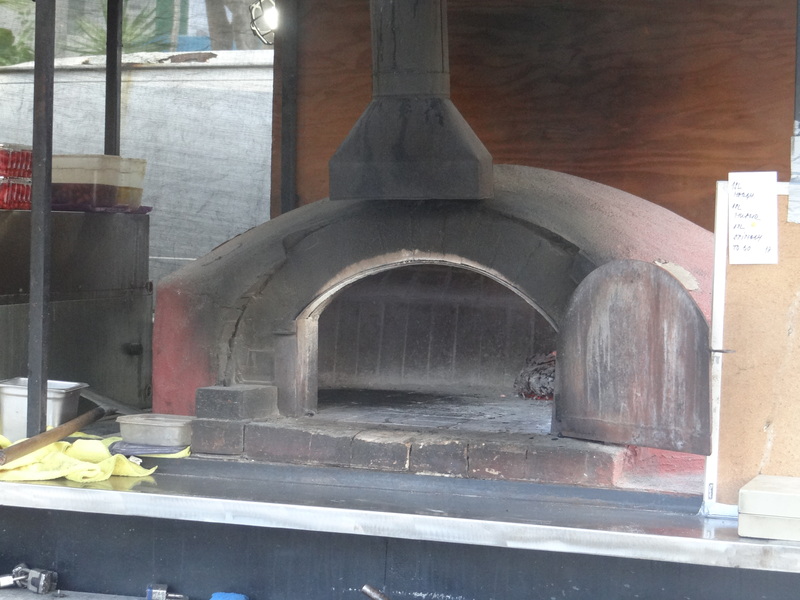 On our way to our Airbnb rental, I spotted a “pop-up” pizza shop in a parking lot around the corner from where we were staying. It was crowded and the pizza looked decent. I was convinced I might have made a great discovery and planned a visit while we were in town. Our Airbnb host left a list of recommended food places and Agostino’s (2463 Kuhio Avenue) made the cut. I was sold. It’s easy to pass Agostino’s without noticing it’s there. Especially if you’re on the other side of Kuhio Avenue. Can you spot the pizza place below? In my opinion, the fact that it’s slightly hidden is part of the allure. 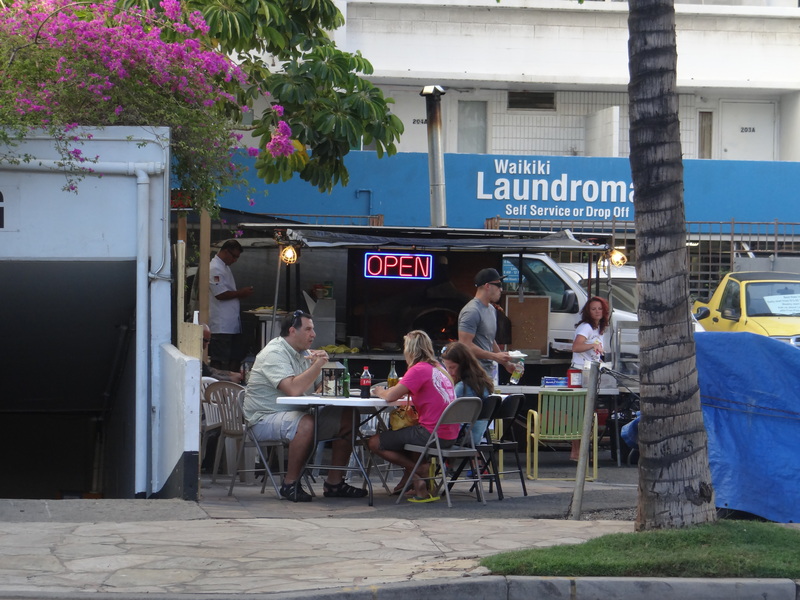 It almost looks as if they’re serving pies out of a laundromat! 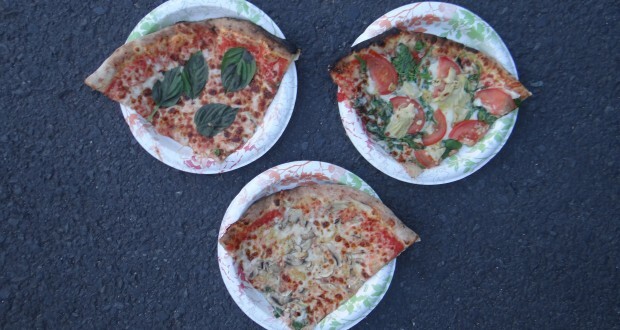 Agostino’s serves slices for $6 (which equate to 1/4th of a pie) or whole pies for $24. I don’t think I’ve ever been to a pizza place where there wasn’t a price break on full pies. 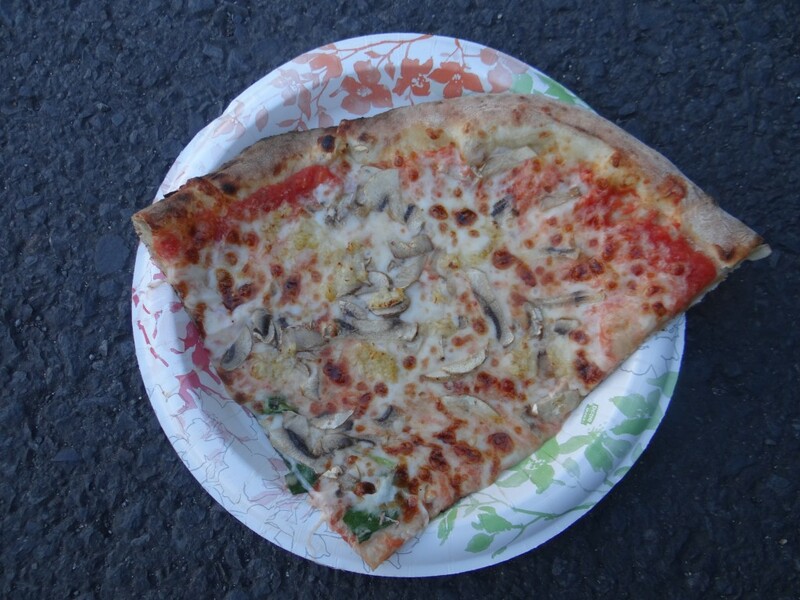 I opted to order a few slices — specifically a margherita pie (tomato sauce, mozzarella, basil), a mushroom pie (tomato sauce, mozzarella, mushrooms, garlic), and a spinach pie (tomato sauce, mozzarella, spinach, tomato, garlic, artichoke). 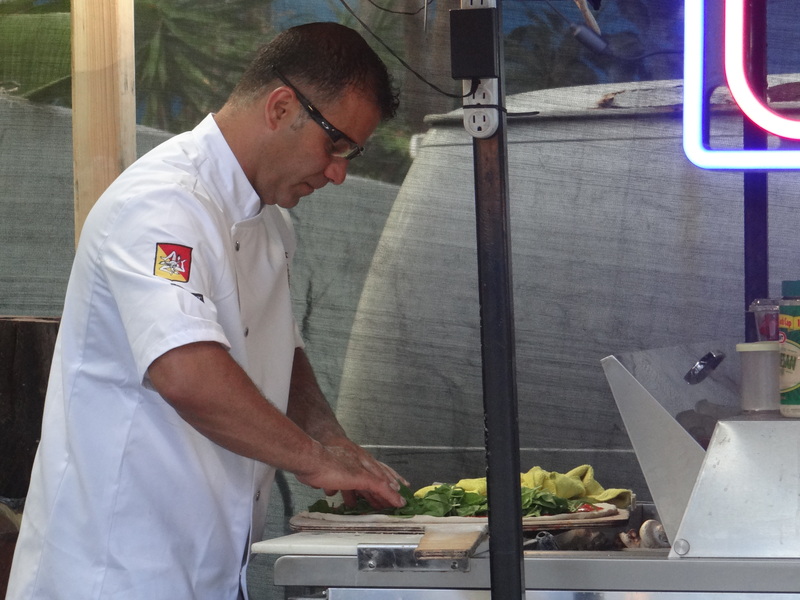 I’ll be honest… I thought the “pizzaiolo” was going to take margherita slices which had already been prepared, throw the toppings on them, and cook them for another minute or two. 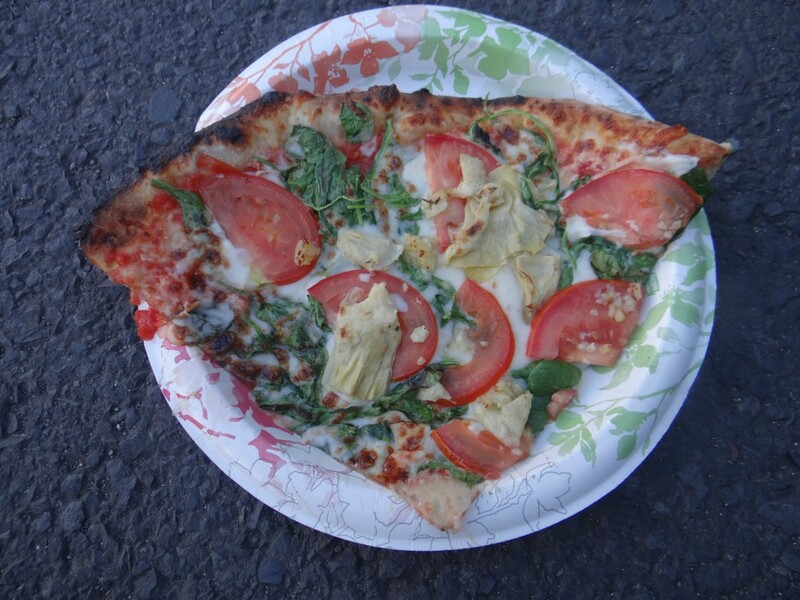 But they actually prepared a fresh pie and simply put the respective toppings on each quarter of the pie. So $6 for a slice is a little pricey, right? I’d consider this a jumbo slice, but still… $6?? I can understand charging $6 for a slice with lots of toppings. But even the margherita slice (which is essentially their version of a plain cheese slice) was $6. Strike one. I ordered my slices to go, and rather than putting them in a pizza box, they were put on paper plates and wrapped with tin foil. It goes without saying why pizza places typically don’t do this. The cheese sticks to the foil for starters. And the pizza cannot “breathe” at all which can make it soggy. 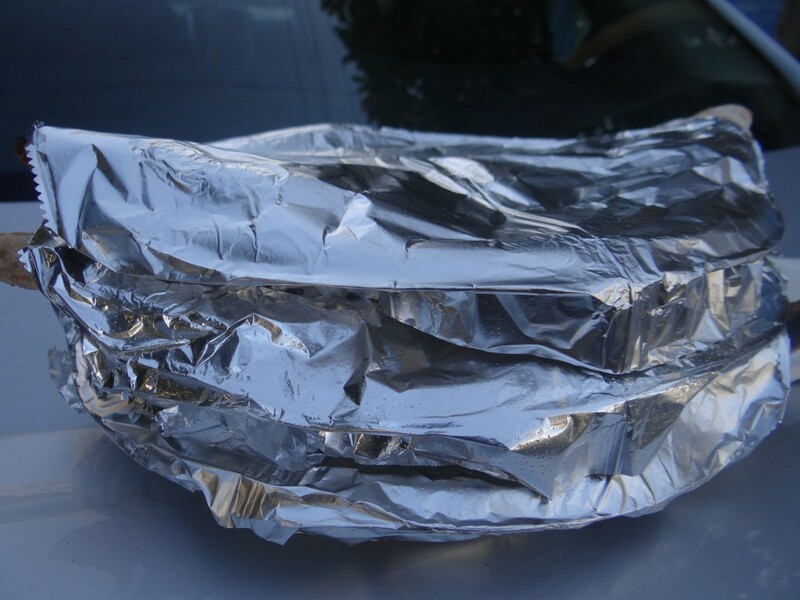 Frozen pizza goes in tin foil. Not fresh pizza. Strike two. So you’re probably wonder what strike 3 is? Well the pizza just wasn’t that good. The crust was soft and appeared slightly undercooked (or maybe it was just the tin foil!). The toppings were uninspiring as well. 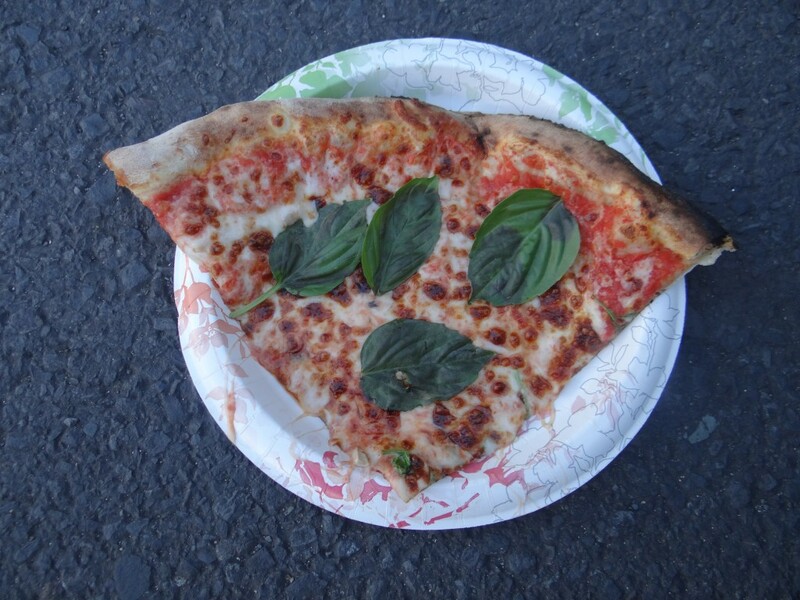 I suppose I liked the margherita the best, but that’s mostly due to the fact that it had the fewest toppings — just basil, which is hard to mess up. I wanted to like Agostino’s — I really did — but when you combine the price with the quality of the pizza, it just doesn’t add up. 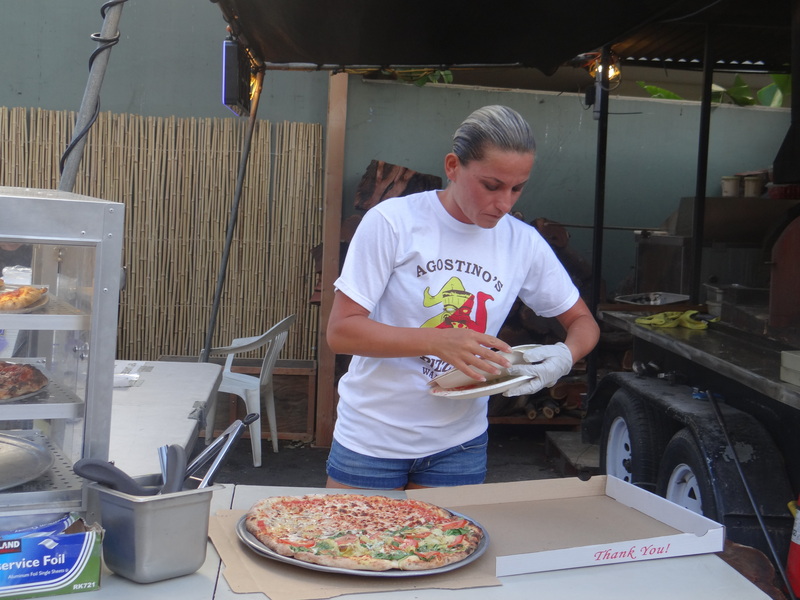 A few minor tweaks — including some better ingredients, more attention given to the crust, and smaller slices at a lower price — and Agostino’s could be on their way to something special. But for now, skip a trip there and spend your time at Marukame Udon down the block — where a delicious bowl of noodles will cost you just as much as a slice of pizza.